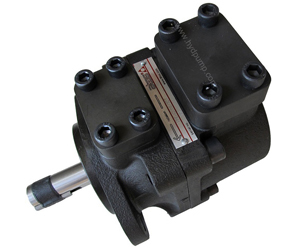 PFE are fixed displacement-twelve-vane pump, 2 and 3 cartridge designs with integral hydraulic balancing 4 for high pressure operation and long service life with low noise level. 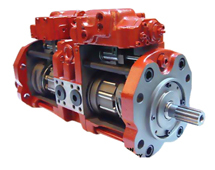 Suitable for hydraulic oils according to DIN 51524…535 OR synthetic fluids have similar lubricating characteristics. 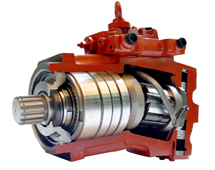 These pumps are available as single, multiple or with through-shaft configuration. Mounting according to SAE J744 standard. Easy installation as inlet and outlet ports can be assembled in any of four relative positions. Easy maintains as the pumping cartridge can be replaced in a few minutes. 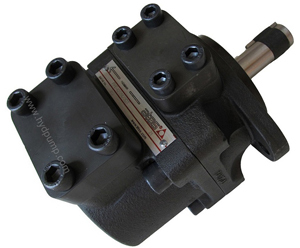 These pumps can be assembled, as second element, with PFE4 and PFE5 to obtain triple pumps, see tab A190. 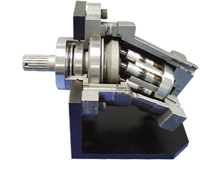 Mounting according to SAE and ISO 3019 standards. Easy installation as inlet and outlet ports can be assembled in any of four relative positions. 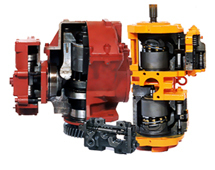 Easy maintenance as pumping cartridge can be replaced in a few minutes. Wide variety of displacements: from 29+16 up to 150+85 cm3/rev. Max pressure up to 210 bar.